Home » Eos Blog » Things are happening! Here at EOS Alliance things are happening! We got a fresh batch of AmeriCorps volunteers, and we are gearing up for our next event! 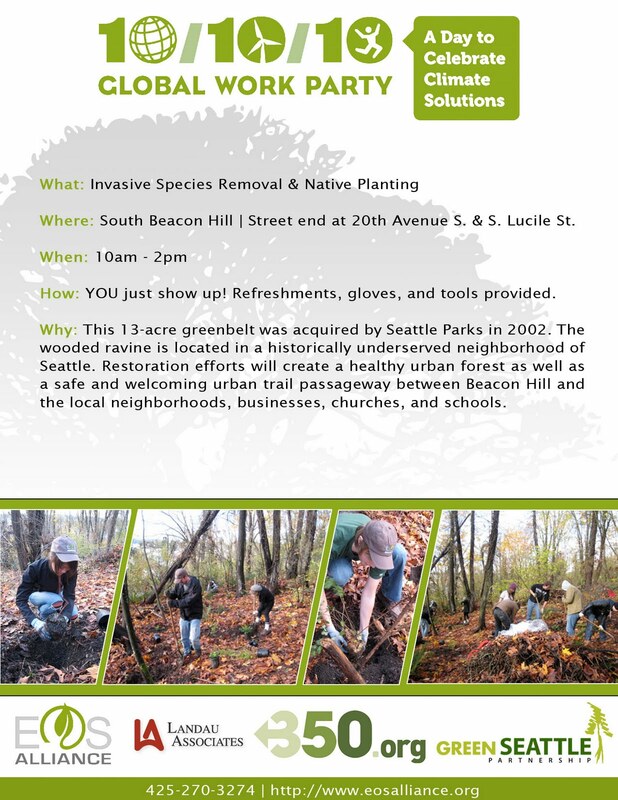 We will be hosting a work party at our habitat restoration site in Beacon Hill on October 10th. This is going to be a part of the 350.org movement, which is coordinating over a thousand events in over a hundred countries to raise awareness about carbon emissions and climate change. BE A PART OF IT! 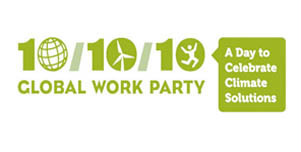 We will be having a rockin' work party from abut 10 to 2, then there will be time for food, drink, and having fun! If you have any questions, comments, or suggestions, let us know, and we hope to see you there!